Area residents will be voting on their respective school district budgets and Board of Education seats Tuesday, May 15. There are three candidates, with current board president Frank Barber squaring off against newcomers Stiling Knight and Carrianne Arquette. “The last few years I’ve been excited about the changes we have made,” Barber told the Times when he announced he would seek reelection, specifically citing the current administration which he said he believes is leading the district in a good direction and has a solid working relationship with the board. Knight, a resident of Huletts Landing in the town of Dresden, said his motivation for running was since he is retired, he has the time to commit to the board. Knight attained a B.S. degree from Columbia University and worked in the field of chemical research. He said Tuesday he hopes to bring “common sense first and attention to detail” to the school board. “No matter how it turns out it’s wonderful to be on the ballot,” he said. If elected Knight said he will work on eliminating a “tolerance of ineptitude” that has seeped into today’s society. Although a newcomer to the school board race, Arquette is no stranger to education, being a teacher in the Granville Central School District. Regarding her decision to throw her hat into the ring, Arquette said she hopes to be a positive force, keeping Whitehall moving in the right direction. “I think I can bring a positive perspective to keep Whitehall continuing with the positive trends I’ve been seeing,” she said. One of the open seats is for a three-year term while the other is a one-year unexpired term, left vacant when Jason Hoagland resigned earlier this year. The seats will be awarded based upon the number of votes each candidate garners with the top vote getter earning the longer term. Next year’s school budget, which was presented to the public by business manager Jodi Birch on Monday, will also be voted on. The budget sits at $16,519,099 and includes a tax levy of $5,546,289 – an increase of $98,068 over this year. Birch said this represents a tax increase of $19 for a home assessed at $100,000. Voters will also be asked to approve the purchase of one 65-passenger school bus and one van, not to exceed $140,000 as well as raise the capital reserve fund cap from $3.5 million to $6 million. Birch said these funds would go towards offsetting district costs for any capital projects in the future. 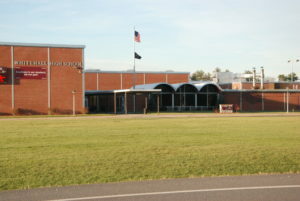 Voting takes place on May 15 with polls open from noon to 9 p.m. in the Whitehall High School gymnasium. Residents will vote Tuesday on Granville’s proposed $25.9 million school budget for the coming year and decide who will fill three seats on the Board of Education. The school board is proposing a $25,909,831 budget for the 2018-19 school year. The spending plan includes no increase to the tax levy and calls for the purchase of three busses and instructional supplies for the district’s agriculture program. The board voted 7-0 in favor of the plan at a meeting April 19 in the high school library. Susan Perry was absent and John McDermott arrived after the vote. The proposed budget is a 3 percent decrease, or $801,338, from the current year. The school’s $7,076,119 million tax levy is projected to stay flat, but even if the levy does not increase some residents could see an increase in the amount of taxes they are paying, because of changes in assessed value of some properties in the school district. This is the seventh consecutive year the district has stayed below the state’s tax levy cap. The district does not plan to use money from its fund balance. Granville is projected to see a decrease in state aid, especially building and textbook aid. Granville is projected to receive $17,320,306 in state aid – $272,004 less than projected for the previous year. Also included in the state aid figure, the district received Community Schools Aid, for the third consecutive year. It plans to use the $86,044 to provide nutrition and mental health counseling services. – Funding for three new busses at a cost of $373,557. – $87,350 for instructional supplies for the junior/senior high agriculture technology program. – The hiring of a chief technology officer with a $65,000 salary. The public may comment on the budget at a public hearing May 7 at 7 p.m. in the high school library. On Tuesday, May 15, from 10 a.m. to 8 p.m. in the high school gymnasium, the public will vote on whether to approve the budget. School officials recommend voters enter the school parking lot off Church Street, between Bernardo’s and the football field. That lot offers direct access to the gym, through the side doors. The public will also vote on filling three vacant seats on the school board. Though there are only three candidates running to fill three seats, an election must be held to entertain write-in candidates. The candidates are Patricia Aunchman, Shirley Kunen and incumbent Molly Biggs Celani. The board seats up for grabs – now held by Celani, Jo-Lynne Bartholomew and John McDermott – are for three-year terms. Celani, currently the board’s vice president, has served six nonconsecutive years on the board. She was elected in 2004 and again in 2015. Bartholomew and McDermott cited family obligations as reasons why they would not run again. Kunen and Aunchman are both Granville residents eager to earn a seat on the school board. Kunen ran in the 2015-16 race, but fell short to Celani, McDermott, Bartholomew and Nekia Torres. Aunchman has not run before. Residents will vote Tuesday on Hartford’s proposed $12.4 million school budget for the coming year and decide who will fill a vacant seat on the Board of Education. The Hartford Board of Education is proposing a $12,394,002 budget for the 2018-19 school year. The proposed budget is a 1.32 percent increase, or $162,002, over the current year. A tax levy increase of $52,614 is expected, for a total levy of $3,560,198. The district plans to appropriate $684,614 of its fund balance. Hartford is projected to see an increase in state aid to $7,699,190, or $126,046 more than the current year. The vote on May 15 will be from 8:30 a.m. to 8 p.m. in the district library and will also decide who will fill one vacant school board seat, with a term of July 1 through June 30, 2023. The only candidate listed on the ballot will be Incumbent Ronald Smith, but an election must be held to entertain write-in candidates. Smith owns and operates Smith’s Lawn and Garden Equipment, a power equipment shop in Hudson Falls and Queensbury. 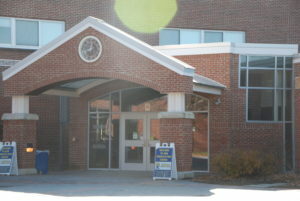 A Hartford native, Smith graduated from Hartford Central School in 1979. He has served nearly a decade as the head of the Youth Commission in Hartford. Smith said he is looking forward, if reelected, to “accomplishing positive things.” If reelected, this will be Smith’s second term. “It’s about trying to make the right decisions not only for the student body and the faculty, but also the taxpayers and making sure they are getting the most for their dollar,” Smith said. Residents with questions about the proposed budget or voting should contact the district office at 518-632-5222.